Ballet West continues to surprise and delight its audiences this year with a triple-bill performance celebrating diversity in dance—paying tribute to tango, square dancing and the techno dance club scene. “I choose to put these three works together because in subtle and unique ways they are all explorations into the melding of classical ballet and various types of social dancing,” explains Ballet West Artistic Director, Adam Sklute. 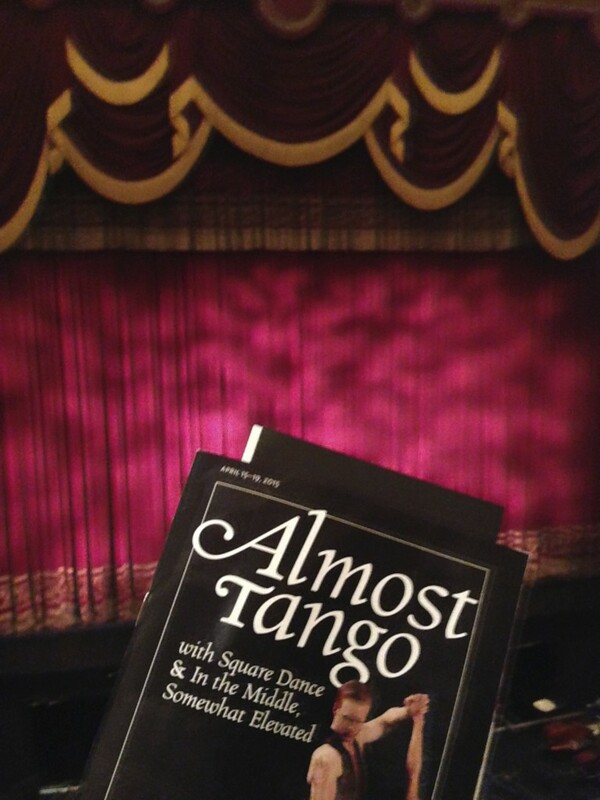 Almost Tango continues at Capitol Theatre through Sunday, April 19, 2015. Making these performances particularly noteworthy is that this production marks the final full appearance of Ballet West’s prima ballerina Christiana Bennett, who recently announced her retirement from the company. 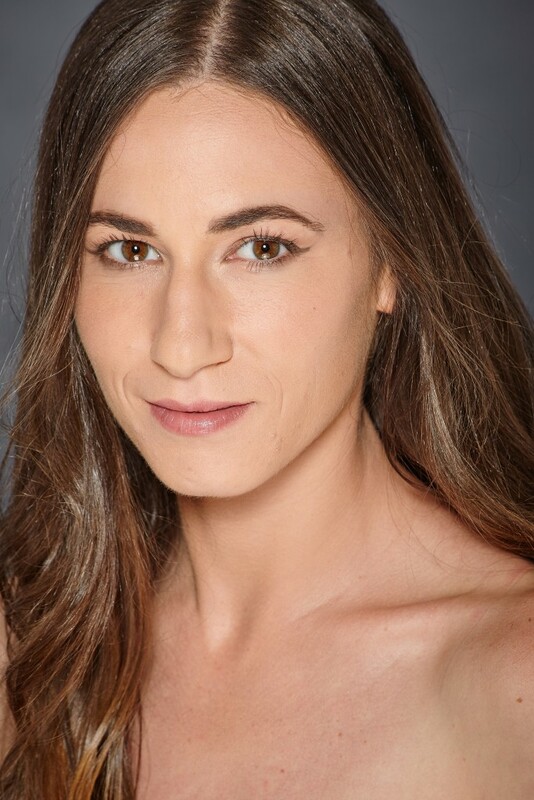 Having danced with Ballet West for 16 seasons, she will grace the stage for each of the eight performances of Almost Tango. Almost Tango features three short ballets, each marked by an intermission. The performance begins with Square Dance by George Balanchine with the Baroque music of Vivaldi and Corelli. Sklute, takes the stage as the square dance caller—a nod to the original composition rarely seen today. “I have performed the role of the square dance caller a number of times in the past, so I’m excited to revisit it,” explains Sklute, who spoke the calls with considerable talent and timing. “I’m also honored to join my dancers on the stage and make my performing premiere with Ballet West.” While whimsical and downright funny if you listen carefully to the words he speaks, the calling significantly detracted focus from the dancers who performed their deceptively simple do-si-do and promenade moves admirably—most notably Principal Rex Tilton. 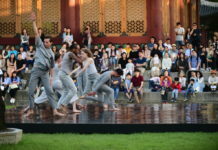 A light-hearted celebration of folk dance, Square Dance also features an on-stage orchestra with a Dowd harpsichord on loan from the Mormon Tabernacle Choir. Next on the program is the title piece, Almost Tango. It marks the Utah premiere of resident choreographer Nicolo Fonte’s sensual and powerful work, specially re-choreographed for Ballet West. The work features ten men and just four women—harkening back to the development of the dance in South America and Argentinian tango halls in the early 20th century. This seductive dance explores the physicality of tango as an impassioned art form. First Soloist Jacqueline Straughan’s deft footwork plays well against the strength, skill and cunning of First Soloist Christopher Sellars and Artist Joshua Whitehead. 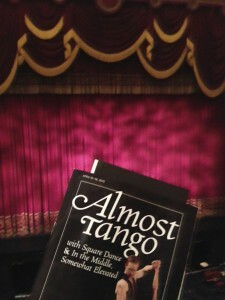 Almost Tango continues at Capitol Theatre Wednesday-Sunday, April 15-19 with evening performances at 7:30 p.m. and matinee performances at 2 p.m. Tickets can be purchased at ArtTix.org. Finally, The Utah Review will also be giving away a pair of tickets to the Wednesday, April 15 evening performance. To enter, comment below telling us why you’d love to see Almost Tango, by 11:59 MT Monday. My daughter and I are obsessed with the art of dance and ballet. It was my mom who instilled that in us. She was a ballerina, too! I would love to be able to take my daughter and enjoy seeing a live performance. Your company is absolutely amazing. What gorgeous talent we have right here in SLC! Please pick us…it would mean soooo soooo much! I would love to see Almost Tango with my daughter who is missing her competition dance season while recovering from knee surgery. She would be thrilled to see this performance! I took my daughter to the Nutcracker often when she was growing up. We haven’t done that for many years. It would be a special treat to go with her again. I’d love to take my little ballerina on a daddy daughter date to this ballet. She’s never seen it! The section of Almost Tango containing Jax and Josh was not with Tyler,due to injury, but actually Christopher Sellars. Thanks, we’ll get that updated. Opening night was a bit confusing with all the changes in cast. Our apologies for the mix up. What a great article Heather! I’d love to go out with my husband to see this beautiful and passionate performance! Thanks for the opportunity to win tickets to see this. Good morning ballet lovers! I’m please to say that Random.org has chosen the winner of the 2 tickets to Wednesday evening’s performance of Almost Tango and the winner is: Marty Spegar! Congratulations. We’ll email you details. Thanks to everyone who read the review and entered to win. Thanks for this opportunity!!!!!!!! We are thrilled! I would fly in from California in an instant to see this amazing production if I won the tickets. Ballet West is truly a top American ballet company and needs to be seen by everyone!!! !